Like many bloggers, I'm constantly reminded that I have far, far too many unread books on my shelves which are perpetually ignored in favor of my newest discovery (usually found on someone else's blog). Working at the library made temptation even worse -- but last year, I scraped by and just made my goal of reading at least 50% of my own books. Of 101 books read last year, 53 were from my own shelves. This year, I'm off to a bad start. I finished only six books, and only one was from my own shelves! In my defense, two were audiobooks; one was for my book group; one was an inter-library loan; and one was part of the 12-novel Poldark series, and I have no intention of buying all of them! And somehow, no matter what, the number of unread books on my shelves always hovers around 170. Part of it is because I just keep finding books that I never added to my Goodreads list; part is that people give me books; but mostly (hanging my head in shame) I'm just a girl who can't say no, and I keep buying more. However, I'm really going to try and stop buying books this year. I only received three books for Christmas, and one was a cookbook and the other about historical fashion, so, not so much novels. I also need to stop putting more books on my hold list at the library. Signing up for the Read My Own Damn Books Challenge hosted by Estella's Revenge. Does this sound too hard? Am I being too strict? And is anyone else struggling with the never-ending owned-and-unread mountain of books? I'll post an update at the end of February! 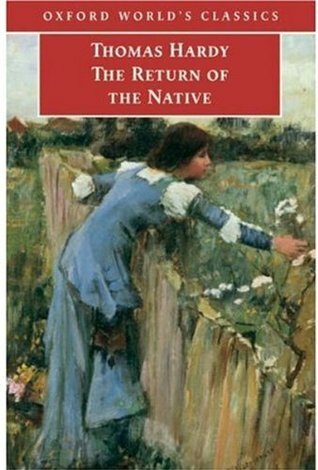 Please link your reviews for the Re-Read a Classic From School here. This is only place for the Re-Read a Classic From School category. It could be a book you read in high school or college, and it doesn't matter if it was a book you loved, or a book you hated -- but please tell us how it compared to the first time you read it! If you do not have a blog, or somewhere public on the internet where you post book reviews, please write your mini-review/thoughts in the comments section. If you like, you can include the name of your blog and/or the title of the book in your link, like this: "Karen K. @ Books and Chocolate (Howards End). " Please link your reviews for your Classic Short Stories here. This is only for the Classic Short Stories category. It should be ONE complete volume, at least eight stories. The stories can be written by a single author, or it can be an anthology of stories by different authors, but it should be one book, cover to cover. Children's stories are acceptable in this category. If you do not have a blog, or somewhere public on the internet where you post book reviews, please write your mini-review/thoughts in the comments section. If you like, you can include the name of your blog and/or the title of the book in your link, like this: "Karen K. @ Books and Chocolate (The Ghost Stories of Edith Wharton). " Please link your reviews for your Banned or Censored Classic. here. This is only for the Banned or Censored Classic category. If possible, please mention in your review why this book was banned or censored -- I'm sure that readers will be interested to know why! If you do not have a blog, or somewhere public on the internet where you post book reviews, please write your mini-review/thoughts in the comments section. If you like, you can include the name of your blog and/or the title of the book in your link, like this: "Karen K. @ Books and Chocolate (Animal Farm). " Please link your reviews for your Classic with a Place Name in the Title here. This is only for the Classic with a Place Name in the Title category. It can be a country, a city, a street, or a building, but it must include the proper name of a place. If you do not have a blog, or somewhere public on the internet where you post book reviews, please write your mini-review/thoughts in the comments section. If you like, you can include the name of your blog and/or the title of the book in your link, like this: "Karen K. @ Books and Chocolate (The Belly of Paris). " Please link your reviews for your Classic Detective Novel here. This is only for the Classic Detective Novel category. This book must include a detective in the story, either amateur or professional. If you do not have a blog, or somewhere public on the internet where you post book reviews, please write your mini-review/thoughts in the comments section. If you like, you can include the name of your blog and/or the title of the book in your link, like this: "Karen K. @ Books and Chocolate (Murder on the Orient Express)." Please link your reviews for your Science Fiction, Fantasy, or Dystopian Classic here. This is only for the Science Fiction, Fantasy, or Dystopian Classic category. Children's classics are acceptable in this category also. If you do not have a blog, or somewhere public on the internet where you post book reviews, please write your mini-review/thoughts in the comments section. If you like, you can include the name of your blog and/or the title of the book in your link, like this: "Karen K. @ Books and Chocolate (The Hobbit)." Please link your reviews for your Adventure Classic here. This is only for the Adventure Classic category. This book could be either fiction or non-fiction, so true-life adventure stories also qualify. Children's stories are acceptable for this category. If you do not have a blog, or somewhere public on the internet where you post book reviews, please write your mini-review/thoughts in the comments section. If you like, you can include the name of your blog and/or the title of the book in your link, like this: "Karen K. @ Books and Chocolate (Treasure Island)." Please link your reviews for your Classic By a Non-White Author here. This is only for the Classic By a Non-White Author category. These should all be classics that were written by an author who is not white; i.e., African-American, Asian, Latino, etc. The can be in translation or written in English. If you do not have a blog, or somewhere public on the internet where you post book reviews, please write your mini-review/thoughts in the comments section. If you like, you can include the name of your blog and/or the title of the book in your link, like this: "Karen K. @ Books and Chocolate (Their Eyes Were Watching God)." If you do not have a blog, or somewhere public on the internet where you post book reviews, please write your mini-review/thoughts in the comments section. If you like, you can include the name of your blog and/or the title of the book in your link, like this: "Karen K. @ Books and Chocolate (The Count of Monte Cristo)." Please link your reviews for your Classic by a Woman here. This is only for the Classic by a Woman category. If you do not have a blog, or somewhere public on the internet where you post book reviews, please write your mini-review/thoughts in the comments section. If you like, you can include the name of your blog and/or the title of the book in your link, like this: "Karen K. @ Books and Chocolate (Jane Eyre)." Please link your reviews for your 19th Century Classic here. This is only for the 19th Century Classic category. All books in this category must have been published from 1800 to 1899. If you do not have a blog, or somewhere public on the internet where you post book reviews, please write your mini-review/thoughts in the comments section. If you like, you can include the name of your blog and/or the title of the book in your link, like this: "Karen K. @ Books and Chocolate (The Way We Live Now)." Please link your reviews for your 20th Century Classic here. This is only for the 20th Century Classic category. 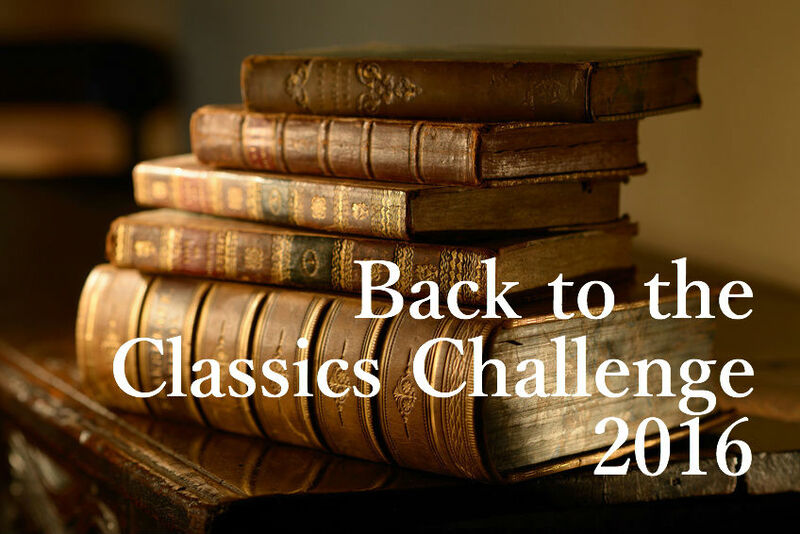 All books in this category must have been published between 1900 and 1965 to qualify as classics (except for posthumous publications. If you do not have a blog, or somewhere public on the internet where you post book reviews, please write your mini-review/thoughts in the comments section. If you like, you can include the name of your blog and/or the title of the book in your link, like this: "Karen K. @ Books and Chocolate (The End of the Affair)." Seriously, Alan Rickman could read the telephone book and I would listen. In fact, the first chapter is kind of pastoral and descriptive, and nothing actually happens, but I just listened to his delicious voice read. Which was just fine. Just an excuse to include a photo of Alan Rickman. But I digress. This is one of Hardy's earliest novels, and it's essentially a love quadrangle about three men and two women and who's going to end up with whom, and how many lives are messed up in the interim. Or, as Amanda put it so succinctly, "an 1800s soap opera set on Egdon Heath." Let's see. Thomasin Yeobright is about to marry Damon Wildeve, but due to a problem with the marriage license, the wedding doesn't go through as planned and she's horribly embarrassed. And her aunt objected to the marriage anyway. Then Damon is having second thoughts, because his old flame Eustacia Vye cannot stand being second fiddle to anyone, so she's trying to get her hooks back into him, and he's waffling. Meanwhile, Diggory Venn in love with Thomasin, and tells her aunt he still wants to marry her, even though she turned him down a couple of years ago. And here comes Clym Yeobright, Thomasin's cousin. He had a good job in Paris but has given it up and now Eustacia thinks she might go after him instead because he's sophisticated and lived in Paris. She wants out of Egdon pretty badly. Basically, Eustacia is an 1840s Scarlett O'Hara, but more selfish, if you can imagine, and not so much willing to sacrifice everything for the sake of the farm. Meanwhile, Diggory Venn is waiting and watching everyone. He is the moral center of the book. Cover of the BBC Audiobook to which I listened. No turkeys were harmed during the listening of this audiobook. Meanwhile, there is are a bunch of side characters who are alternately rustic, amusing, and just as dumb as soup. They exist for comic relief, and some parts of this book are just laugh-out-loud funny. Some parts made me yell at the audiobook (in the car, which is a good thing -- very embarrassing otherwise!) -- and some parts are slightly ridiculous. But Hardy really is an amazing writer, with great character development and amazing descriptions. 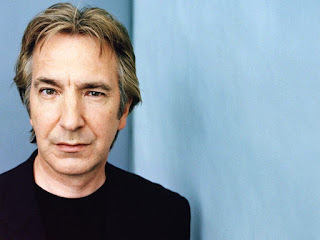 If I had read the print book instead of listening to the awesomeness that is Alan Rickman, I would actually have found a brilliant and insightful example and included it. Overall, I have to agree with Amanda -- it's really a great book, with some serious melodrama, though unlike Amanda, I absolutely disliked Eustacia and was waiting to see if she would get her comeuppance. I had some suspicions about how it would all shake out, and I was not disappointed, though there are some pretty good plot twists. 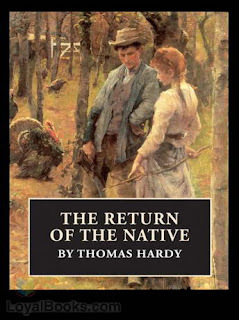 I don't know if I liked this book quite as much as Far From the Madding Crowd, but I'm on a roll with Hardy and I have two of his shorter novels on the TBR shelf which I'd like to attempt this year: A Pair of Blue Eyes and Under the Greenwood Tree. Has anyone read either of them? Which do you recommend? Unfortunately, I can't count this for the Back to the Classics Challenge since I finished it at the very end of 2015, but it's one more book crossed off on my Classics Club list! Only eleven books left! 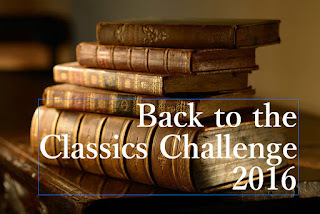 Back to the Classics 2015: The Winner! And the winner of the Back to the Classics Challenge 2015 prize drawing is . . . .
Jean @ Howling Frog Books !!!! Jean, you've won a gift card worth $30 (US) from Amazon.com or The Book Depository!! Congratulations!!! Please contact me at karen librarian 13 [at] yahoo [dot] com so I can send you your prize. And many thanks to all the bloggers who participated in this event! About 150 people signed up, and 39 people completed the challenge. But don't forget, we're all winners, because we've all crossed some classics books off of our to-read lists!! I hope everyone enjoyed themselves and that you've signed up for the Back to the Classics Challenge 2016! I'm very excited about starting on my own list and reading everyone's reviews.